One. 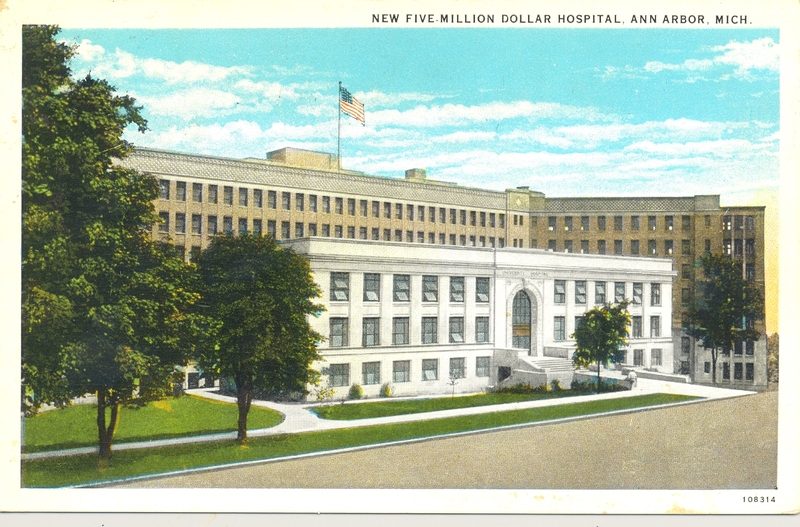 Ninety years ago a massive hospital opened for business here in Ann Arbor, although its intent at that moment was not just ordinary hospital business. The intention was advanced clinical care, medical education, and research. These activities on that hill, comprising the three-fold mission of our medical school, would have substantial impact throughout the world of health care. Health care was evolving from the work of solo practitioners armed with their hands and a few tools to specialty based teams armed with deep knowledge of their fields and incredible technologies. 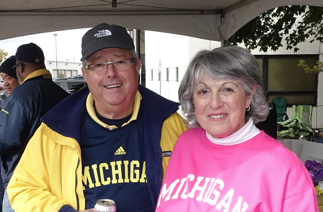 Michigan’s first 2 urology trainees began their residency training that same year. The advanced clinical care, medical education, and research offered at Michigan were at the cutting edges of possibility in 1926 and changed medical practice, pedagogy, and discovery over the next century. Hugh Cabot, chair of the surgery department and dean at the time, was the force behind the building (shown above in an antique post card) dominating this small university town. In addition to building the hospital, Cabot put together the University’s first coherent multispecialty group practice. He also was Michigan’s first academic urologist with a strong record of clinical innovation, scholarly achievement and, beginning that year in 1926, urologic education. His first two trainees in Ann Arbor would come to fame well beyond this town and their field of urology, having gotten their start standing on Cabot’s shoulders, as it might be said. 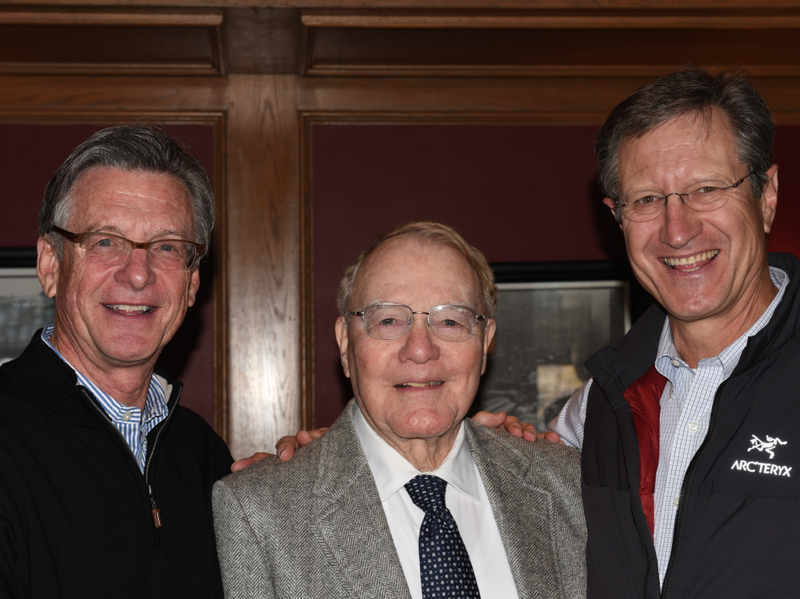 Reed Nesbit came from California, remaining at the University of Michigan for an extraordinary period of clinical innovation, education, and leadership in American medicine lasting more than 40 years. Charles Huggins came from Boston and would go on to win the Nobel Prize for demonstrating the hormonal dependency of prostate cancer. We’ve not quite matched that first cohort of residency training, although we have trained many superb urologists in the intervening 90 years. The world of specialty training has changed much since those autocratic days of graduate medical education when It was considered somewhat of a gift for the few experts like Cabot to allow younger doctors such as Huggins and Nesbit to assist them clinically as, in exchange, they mentored and educated those trainees. Cabot realized that while educating the next generation was part of his duty it distracted him from his other obligations as well as costing time and money, yet somehow he decided to select those two young men to come work with him in Ann Arbor in 1926. This duty has gotten more expensive and distracting with onerous regulation and recognition that trainees are also “customers” in today’s world. As customers – along with patients, referring docs, our employees, and the public in general – their opinions and “satisfaction” concerning our efforts matters. We now measure satisfaction with tools such as the Likert Scale, although as we train the next generation of health care professionals their immediate satisfaction and pleasure are not our only responsibility to them and society. Two. The University of Michigan was the first university to own and operate a hospital, going back to 1869 when a faculty building was converted into a dormitory for patients undergoing surgery in the Medical School building. Nearly 60 years later the building, shown above in 1926, was the hospital’s fourth iteration. Built on the side of a hill, the front entrance was actually on the 5th floor of the structure. The admixture of a university and a hospital makes excellent sense in terms of the missions of education, research, and clinical care, although the operational implementation has been challenging. Complicating the challenge is the growing complexity of universities, the increasing specialization of modern health care, new and expensive technology, the economic/regulatory environment, aging populations, expanding comorbidities, international instability, and climate change. Yet for all these reasons, the role of the academic health center in large and strong universities makes more sense than ever. The basic unit of a university is its academic department while the basic unit of a health care center is the so-called service line, the smallest team unit that delivers a specific clinical service. Yet like any biological cells, these basic units are co-dependent. Our challenge is joining them together to create excellent clinical care, education, and research. Three. A primary necessity in academic medicine is its regeneration through the selection and education of its successors. This annual ritual brings new cohorts of medical students into residency programs, and four interns (PGY1s) will comprise Michigan’s class of 2022. This is twice Cabot’s inaugural class and seems about right for us now. Clinical practice has become far more complex since the days of Cabot and Nesbit, so residency training accordingly encompasses a greater range of knowledge and skills. The actual number of trainees is based upon clinical volume, institutional factors, and faculty talent. Whether four will be the right number in the future will be a topic of faculty conversation as we continue to match manpower to mission. Faculty serve not just as clinician-teachers, but also as coaches and mentors, and after accounting for all residents and fellows our faculty to trainee ratio is 1:1. Although the public and much of the rest of academia view medical educators as people standing in front of students in classrooms, that is actually a rare circumstance. Our classrooms are operating rooms, patient bedsides, clinics, laboratories, offices, coffee shops, and cafeterias. These places comprise the gemba of medical education (the Japanese term gemba refers to the place where the work is done and is part of lean process terminology). The subjects include basic sciences, clinical sciences, surgical techniques, professionalism, E & M coding, research techniques, health care delivery, population management, team work, leadership, and teaching itself (pedagogy). Residency training is the career-defining stage of medical education and one could claim it is the signature product of an academic health center, usually exceeding (sometimes more than twice) the time spent in medical school. Furthermore the numbers of our residency trainees here in Ann Arbor are roughly double those of medical students at any moment. In addition to the subjects mentioned above residents are coached to develop the habits of lifelong learning and teaching. Confounding these goals are regulatory pressures including the duty hour restrictions. Five Michigan students wanted to go into urology this year and they all did extraordinarily well. Entering our program this summer will be Adam Cole (UM), Lauren Corona from Wayne State, Scott Hawken (UM), and Udit Singhal from Wright State. If our program allowed 8 residents per year we would have also kept our other 3 Michigan students, for I believe all 8 will add to urology and society very positively. And of course, they will be Nesbit Society members someday soon. David Kozminski will be going to the excellent Albany program to train with Nesbit alumnus Barry Kogan. Naveen Krishnan will be at Indiana (our sister Big 10 residency where Mike Koch is chair) and Heiko Yang will train at the University of California in San Francisco with Peter Carroll. I’m jealous of Barry, Mike, and Peter for getting these three superb students. Four. The Likert psychometric scale is commonly used in questionnaires that are becoming a large piece in the value equation of health care. Rensis Likert, the originator of the idea, grew up in Cheyenne, Wyoming. His father was an engineer for the Union Pacific Railroad and Rensis followed his dad working for the railroad during its 1922 strike. That experience in workplace conflict led to a lifetime interest in organizational behavior and communication failure. Likert then travelled east to the University of Michigan, obtaining a B.A. in economics and psychology in 1926. He continued east to Columbia University for a Ph.D. in psychology in 1932, where his thesis developed the idea of a system for measuring attitudes based on a 5-point scale ranging from “strongly agree” to “strongly disagree.” It was hardly a novel idea for students to rate their teachers, although evaluation was usually behind the teacher’s back, on occasions resulting in voting with one’s feet to find another teacher or mentor. The Likert Survey Scale, however, was the first validated psychometric evaluation system and it found broad use across many fields. In educational arenas it would give students a voice in their instruction and also provided the teacher a sense of the satisfaction of their audience. Teachers, however, can become enslaved to evaluations and accordingly pander to their subjects, an outcome that does not result in effective teaching or mentoring. Effective teachers and coaches may need to push team members beyond levels of comfort. 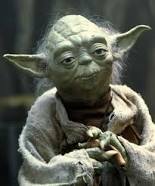 Popular culture makes this point nicely in the story of Star Wars, for who can forget Yoda pushing Luke Skywalker beyond his tolerance until the youngster bowed to his internal Likert rating of “strongly disagreeable” and walked away from his training prematurely, to the advantage of the dark force. Sometimes we need to hear “disagreeable things” and to feel uncomfortable. The business author Jim Collins talks about the need for leaders to confront “the brutal reality” of situations. Health care no less than the business world has its share of brutal realities. We fail to train medicine’s future Jedi knights effectively if we protect them excessively from over-work or take pains to wrap criticism in flowery packaging. There were times during my residencies that I worked more than 80 hours a week, by choice or by necessity. Yet probably just as often my weekly work hours amounted to less. It is often claimed in the educational world that expertise in topics such as chess, piloting, or golf takes 10,000 hours of practice or experience. Perhaps urological skill takes more, a number that empirically looks like 20,000. Considering the rapidly changing basis of technology and science, as well as the modeling of professionalism and the need for vacations and some down time, five to six years at 80 hours a week goes by quickly. Patient care, particularly in the surgical world, is not perfectly predictable and workplace service line demands and workforce culture should set the pace. If reasonable limits are consistently exceeded for no good clinical or educational limits, institutional leadership (program directors, chairs, or deans) must recognize and address the matter, or alternatively residents should air their grievances or vote with their feet. It is unfortunate that a few historic bad apples in the world of graduate medical education (e.g. the Libby Zion case) precipitated the present obsessive national regulation of resident work days. Five. Likert’s career. After graduate school Likert found a job with the Department of Agriculture and during WWII became Director of Program Surveys for the USDA and as the war progressed he also helped the Office of War Information, the Department of Treasury, the Federal Reserve Board, and the US Strategic Bombing Survey. At the war’s end political forces in Congress forced the Department of Agriculture to stop its social survey work. Likert’s team accepted an offer from the University of Michigan in 1946 to form the Social Research Center, that in turn became the Institute for Social Research (ISR) in 1949 when Dorwin Cartwright moved his Center for Group Dynamics from MIT to Ann Arbor. Michigan’s ISR fielded the 1954 double blind trials for the Salk polio vaccine. 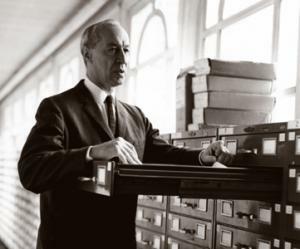 Likert remained director of ISR until his retirement in 1970. While his work centered around the attitudes of individuals he also studied the function of teams in terms of management styles in the business world. He and his wife Jane applied their findings to educational settings, recognizing 4 basic styles: a.) exploitive authoritative, b.) benevolent authoritative, c.) consultative systems, and d.) participative systems. His elaboration of the linking-pin model is relevant in complex organizations today. Likert died in 1981 and is buried in Ann Arbor’s Forest Hill Cemetery. Six. Pendulums swing in organizational systems, as is their nature. In previous iterations of health care education, just as in previous generations of athletic coaching, many learners suffered more than was necessary to achieve mastery of their games. In response, peer organizations such as Residency Review Committees, ACGME, NCAA, and even the United States Government assumed roles overseeing the respective training grounds. Oversight organizations, however, tend to become self righteous and in the pursuit of added value create regulatory over-reach evident now in the constraints of duty hour regulations and the mandated EHR. While few can deny that a national standard for electronic health records is necessary, the EHR law went way beyond creating a standard to imposing cumbersome systems that traded away personalized health care and physician efficiency for billing efficiency and corporate enrichment. “Meaningful use constraints,” checklist orientation, and workflow standardization have altered the relationships between patients and providers to the satisfaction of neither. People come to health care providers to solve problems, but problems are bound up in stories. Rarely is a patient’s story simple enough to be reduced to an ICD-10 code that may be addressed by a therapy expressed in a CPT code. This is not the personalized medicine that people desire. Let’s say that you have a large painful ureteral stone (ICD-10 N20.1) that might be solved by expulsive therapy, ESWL (CPT 50590), or ureteroscopy (CPT 52356). The choice takes a discussion that must account for many personal needs wrapped up in the patient’s story, a story that doesn’t easily fit the EHR checklist. The patient’s narrative is likely to involve significant comorbidities (as discussed here a few months ago ….) that may be physical, mental, or social. Furthermore, not all diagnoses, therapies, or co-morbidities actually have codes. For all the 150,000 ICD-10 codes and additional thousands of CPT codes in the books I often find myself at the computer during clinic struggling to find a code that fits the problem I think I have discovered in a patient or the code for the solution I have in mind. The failure of our massively expensive EHRs and health care organizations to respect the role and power of narrative in the essential transactions of kind and excellent patient care is gnawing at the heart of health care. While the exploitive-authoritative model Likert experienced at the Union Pacific Railroad is dissolving in most forward-thinking businesses it is establishing itself in healthcare. For this reason we can expect growing physician dissatisfaction to express itself in such things as unions and other forms of protest. Discussions of coaching and mentoring often default to the world of sports. This is no surprise since athletics have been a universal cultural experience throughout human history and remain even more so today from preschool to the Superbowl and from refugee camps to elite universities. The idea of coaching has crept from the athletic world into business organizations and professional work. We know today, through the examples of the sports world and the ideas of lean engineering that the best coaching is done at the gemba, or at least with the gemba close in sight or in mind. Most great coaches will tell you that they are only standing on the shoulders of those who coached them or inspired them as coaches, and the individuals above would offer names such as Fritz Crisler, Pete Elliott, Jim Young, Bo Schembechler, and others including their high school coaches or examples from other sports. All coaches share some similarities, although even within the athletic world coaching styles differ according to the nature of the sport or the culture of an institution as well as the personality of the coach and the needs of a particular team. Certain coaches are more exploitive authoritative than benevolent authoritative, according to Likert’s model, but most successful ones will have some consultative and participative elements even if not overtly visible. In fact all good coaches learn from each others’ plays and styles, in addition to learning from those they coach – for after all, the coach is a part of the team. Not so long ago, in the days of Hugh Cabot and Henry Ford for example, leaders presumed they “knew it all” and that their decisions were final and best. The idea of the “wisdom of crowds,” as James Surowiecki and Scott Page explained in their books, was not a common belief. Eight. 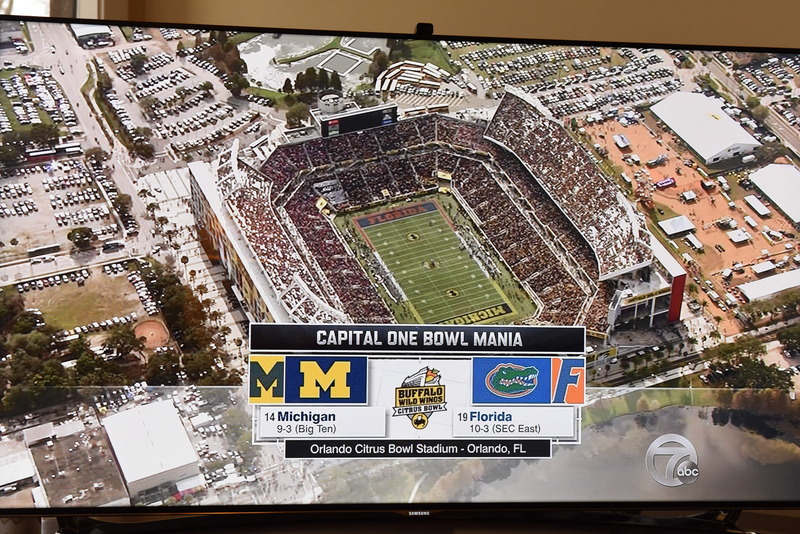 Coach Harbaugh got his team off to a good start last month at the Citrus Bowl, a stadium that we learned resulted from one of FDR’s WPA projects. Team size in American football today consists of 11 players in play per side, although when the first American football game was played on November 6, 1869 each team had 25 players. It was Rutgers vs. Princeton and who would have guessed that one of them would join the Big Ten nearly 150 years later? Rules then were set by the host school. In 1873 Yale, Rutgers, and Princeton agreed on some standard rules and set the teams at 20 players per side. Walter Camp of Yale in 1880 led rule changes that set the size at 11 players and introduced the snap to replace the scrum (scrummage), a method of restarting a play, taken from rugby. Team size was an issue for the Supreme Court, on this particular day coincidentally in 1937, when FDR attempted an historic over-reach. Article II of U.S. Constitution leaves it to Congress to determine the number of Supreme Court justices. The Judiciary Act of 1789 started our nation off with 6 justices. With growth of the nation Congress increased the number to correspond with the number of judicial circuits: 7 in 1807, 9 in 1837, and 10 in 1863. In 1866 Congress passed an act that the next 3 justices to retire would not be replaced, thus attempting to scale back the court, however in 1869 the Circuit Judges Act returned the number to 9. President Franklin Roosevelt in 1937 on this day proposed a plan to enlarge the court by adding an additional justice for each who reached the age of 70 years 6 months, but refused to retire – up to a maximum of 15 justices. The motivation was more political than an attempt to match manpower to mission. The court-packing plan failed to muster enough support in Congress, although the president was still able to pack the court ultimately appointing a total of seven justices and elevating Harlan Fiske Stone to Chief Justice. A good coach might have cautioned FDR against interfering with the authority and structure of another branch (the judicial) of government, but presidents and other CEOs have a poor record of coachability. Clearly Roosevelt’s proposal was a moment of executive over-reach, but in his defense all branches of government, all agencies, and most organizations of any sort are self-programmed to over-reach. That is the Darwinian nature of things. Not just our presidents and leaders, but each of us needs some sort of coaching to keep our values, our missions, and our daily work in balance. I’ve found this very important in my time as chair, with the coaching of David Bachrach, a former administrator here at UM and later at MD Anderson. After a short time in any leadership position, surrounded inevitably with its own “zones of yes,” most of us start to yield to the dark side of the force in figuring that we have all the answers. A wise coach who has played in the game extensively, can find clarity, and doesn’t mind telling you unpleasant things you need to hear, is essential for success of the organization – and that success is ultimately the success that counts. Nine. Cells and organizations. Last month we also mentioned that the first use of the term cell, as a basic unit of life, appeared in Robert Hooke’s book Micrographia in 1665. The changes between Micrographia and today have been incredible and even a great mind like Hooke’s couldn’t have predicted today’s world of science and health care. When Cabot, however, opened Michigan’s University Hospital 90 years ago he likely could have predicted most of today’s big issues in health care. These include specialization, new discovery, expensive technology, regulation from numerous quarters, third party payment systems, demographic changes, and increasing dependency on regional and national economies. The changes are coming at rapid fire and no single health care system is prepared to manage them. The changes impact the nature and financing of health care and all aspects of its educational and research components. Nevertheless, the basic dynamic of the doctor-patient relationship (in our Department of Urology we call this the essential deliverable of kind and excellent patient-centered care) and the basic dynamic of the teacher-student (or faculty-resident, coach-learner, mentor-mentee) are unlikely to change. This scenario predates the days of recorded history and is echoed in most human endeavors throughout classrooms, athletic fields, and in gembas everywhere. If someday your travels take you to the Loire Valley and town of Chartres in France you will notice a large and impressive cathedral that dominates the town, much as our hospital did here in Ann Arbor 7 centuries later. The church is one of 1031 World Heritage Sites, although to the discredit of our species ISIS is assiduously working to reduce that number. The south rose window at Chartres dates from 1221-1230 and beneath the spectacular dominating rose window sit 5 lancet windows, the central one featuring Mary carrying Christ. The lateral lancet windows illustrate New Testament evangelists on the shoulders of Old Testament prophets looking up at the Messiah. The metaphor of finding new perspective from the shoulders of giants long precedes this image and has been employed many times subsequently, most notably in Isaac Newton’s letter of 1676 to his intellectual rival Robert Hooke: “What Des-Cartes did was a good step. You have added much several ways & especially in taking the colours of thin plates into philosophical consideration. If I have seen further it is by standing on the sholders of Giants.” Coleridge said it again in 1828: “The dwarf sees further than the giant, when he has the giant’s shoulders to mount on.” Our teachers, mentors, and coaches become giants for us when we catch a glimmer of their perspectives, insights, and art. In their minds they may not at all consider themselves “giants” and nor do we even though our students, residents, and colleagues use our shoulders for a little start to their careers. All of us teachers and mentors of one sort or another in our lives, that’s how civilization works. Hippocrates, Osler, Cabot, Nesbit, Lapides, Schembechler, and Elliott achieved great distinction as giants in their times and fields, exemplifying the path for the rest of us. We will get an extra day at the end of this month and it will be a Monday. Think of it as a glitch in The Matrix. Best wishes and thanks for reading What’s New and Matula Thoughts this month.